You have seen some shots taken in the mornings in Bali posted previously here. For the same reasons I like to shoot in the evenings when lighting is fantastic for dramatic available light photography - the only difference is that in the morning the light becomes harsher with time and in the evening the reverse is true...until you have no more light! Here are some shots taken one evening that I would like to share. 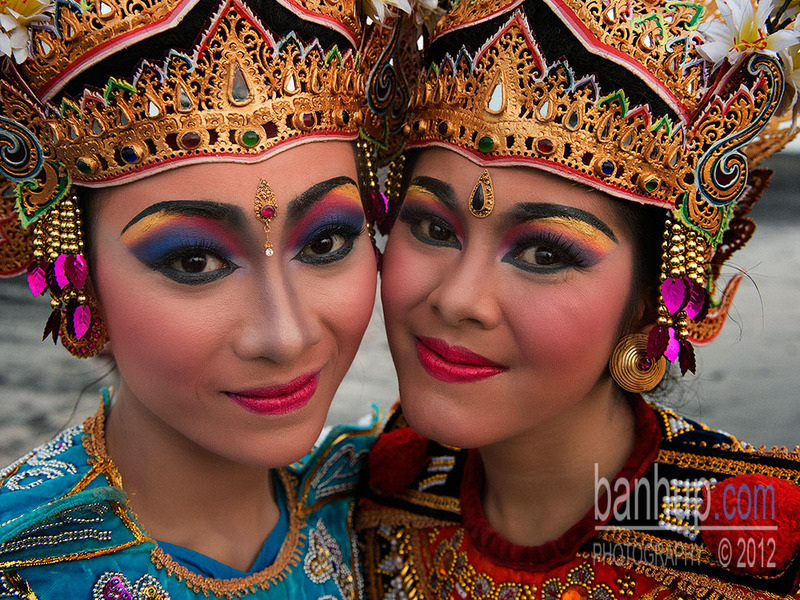 We had the privilege to shoot two professional Balinese dancers at an isolated beach. Sometimes shooting from a different perspective can be quite interesting.